Pamplin Media Group - The QUILTS have it! The workshop is Thursday-Saturday, Feb. 21-23, from 10 a.m. to 3 p.m. each day. There is no admission charged but donations are accepted for the Senior Center in El Torno, Bolivia. The Senior Center has served as the community/social center for the village since it was built in 2001. Thursday: Anita Lindberg - Disappearing Four Patch with a twist. Friday: Karen Stephens, proprietor of "Speckled Hen Quilts" - use of the pineapple trim tool from creative grids. Saturday: Annette Mandel - English paper piecing. Anita Lindberg - Disappearing Four Patch with a twist. In the case of inclement weather on Wednesday, Feb. 20, the workshop would be postponed one week. 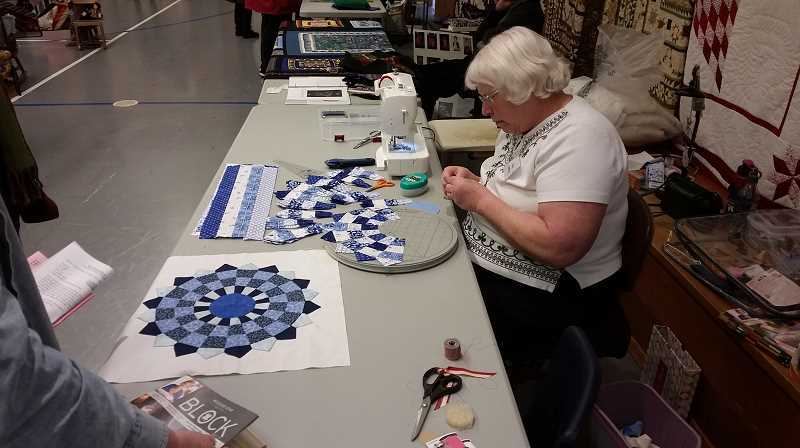 For on-line information, visit the church web site at https://zionmennoniteoregon.org/community-ministries/quilting-workshop/, or by calling the church office at 503-651-2274, or Louise Gingerich at 503-651-2816.